Dr. Massimo Re is among the most experienced and recognized surgeons in Italy, a specialist in cosmetic and aesthetic surgery and competent in Maxillofacial Surgery and Laser. Thirty years of experience, many success stories and many references. Natural results with short recovery time. Local anesthesia with or without sedation in most of the cases. 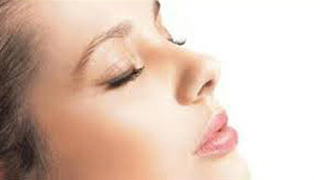 In massimore.com you can find information about the types of surgeries performed (SURGERY). In the section BEFORE AND AFTER GALLERY there is extract of some pictures before and after the surgery. VIDEOGALLERY area is dedicated to interviews and TV broadcasts, made on the issues of cosmetic surgery. For more information, please have a look to the sections NEWS & FREQUENTLY ASKED QUESTIONS, or contact us requesting an online consultation or book a visit calling 338 89 00926. Dr. Massimo Re receives his patients and performs the surgeries in Barcelona, Milan and Rimini. Interview on the facelift with gold thread and stretch marks correction.